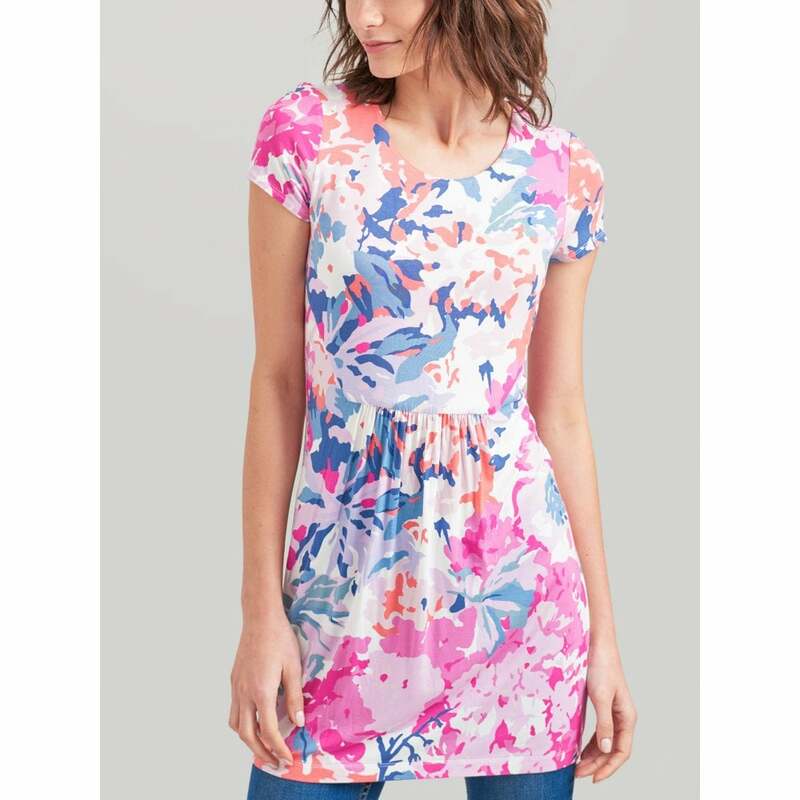 This beautiful floral jersey dress is perfect for the new season! With short sleeves and gathered waist to accentuate your figure. This lovely dress would look great paired with sandals or with jeans or leggings for extra warmth on a summer eve.